This past weekend was a whirlwind of an experience. 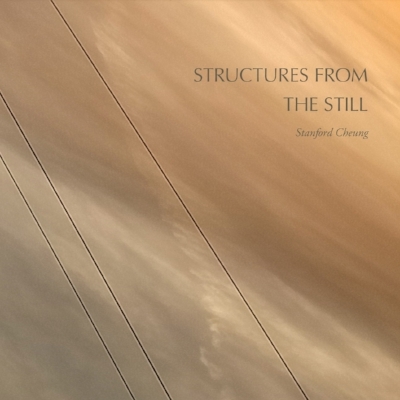 As you know, Friday the 10th marked the release of Stanford Cheung's first full-length poetry collection, STRUCTURES FROM THE STILL. And, as you may have guessed, Stanford lives in Toronto. And, as you have no doubt intuited, i do not. So, early Friday morning, i packed up my car with books, snacks, and a friend (Maria, i will road-trip with you anytime! ), and hoofed it up to the i think birthplace of my pops (it's either Toronto or Montreal, i can never remember). Toronto itself felt like an unusual, albeit viable, pastiche of US cities (of note: Seattle, Miami, and a dash of 80s era New Orleans). Montreal also felt like this, which makes me wonder if all Canadian cities do. Almost as soon as we got to the city, it was time for the launch. If you ever visit Toronto, i highly, HIGHLY recommend a visit to knife | fork | book. The store is situated in a corner of a sizable belly-dance studio and is resplendent with wood floors, floor-to-ceiling mirrors, and heaps of large, inviting, and nestle-able chairs. And Kirby, the founder/owner of knife | fork| book as well as a poet and publisher, is someone you ABSOLUTELY need to meet and forge a friendship with. He is a consummate curator of space and one of the major hubs of and beacons for the Toronto poetry scene. As for the launch, what can be said? The intimate group that braved the incredibly pleasant summer evening to be a part of the evening were treated to a powerhouse reading: JC Bouchard primed us and Stanford caught us in a wholly new, collective dreamscape. It was hand's down one of the best readings i have ever been to. I posted a few videos on my instagram, but they don't do the evening justice. And, after the reading and talkback, the after-mingling and book sales, the launch was over. We all went our separate ways: to home, to the Night Market, to dinner, to an airbnb. . . It's fitting, i think, that this launch happened in the middle of August. The best image i can muster for the event is a breathtaking summer sunset: the mountainous clouds dyed the soft yet magnetic tones of the vanishing sun, the sky itself stacked and striated with colors that have no right to exists so well together, to blend so seamlessly into each other, but somehow do, somehow gradient this miraculous way every evening, and then they're gone, then everything is gentle and blue and at peace. It was a everything befitting of Stanford's book, and so much more than anything i could have hoped for. STRUCTURES FROM THE STILL is out now and can be purchased here. Kirby's beautiful photos from and write-up of the event can be found here. If you are in/around Toronto on August 10th, please join us at Fork Knife Book at 7 pm for the launch of STRUCTURES FROM THE STILL by Stanford Cheung! It will be a night full of wonderful readings and rad discussions. If you won't be able to make it, please pop over here to do a little preordering and here to get some more details about the book. FRIENDS! TODAY IS THE DAY! TO TRACY LIKE / TO LIKE / LIKE is officially launched!!! If you can, join us tonight at Greedy Reads in Baltimore at 7 for the launch event: a panel discussion featuring Tracy Dimond, Mary Adelle, Mandy May, Sharea Harris, and Jane Lewty. It's going to be the best! If you can't join us for the launch, make sure you get your copy here. TO TRACY LIKE / TO LIKE / LIKE LAUNCH EVENT! I am beyond excited to announce that Tracy Dimond's TO TRACY LIKE / TO LIKE / LIKE will be launching here in Baltimore on Thursday, July 12th, at Greedy Reads at 7 pm! The event will be a panel discussion titled What I Talk About When I Talk About My Body and will feature poets/writers Jane Lewty, Mandy May, Mary Adelle (Walters), Sharea Harris, and of course, Tracy Dimond. TO TRACY LIKE / TO LIKE / LIKE, along with the other poets' books, will be available for purchase at the event, but if you'd like to get a copy of Tracy's early, head over to the akinoga press store and snag one today! This is going to be an amazing evening at an amazing book store featuring amazing people. 1) I will be exhibiting at this year's CityLit Festival! The fest will held Saturday, April 14th at the University of Baltimore (the exhibitors will be in the William H. Thumel, Sr. Business Center) and will kick off at 9:30! 2) I WILL BE SOFT LAUNCHING TO TRACY LIKE / TO LIKE / LIKE! Come by and get a copy of Tracy's amazing poem-turned-chapbook waaaaaaaaay super early! If you can't make the fest and would still like an early copy, please place a preorder on or before April 14th, and i'll mail out a copy that weekend. Otherwise, the books won't be available again until the official launch in June. So, if you want a copy any time soon, DON'T SLEEP ON THIS! Tracy will also be around at some point to talk about/sign her books, SO YEAH COME BY AND SEE US! Tracy Dimond is a powerhouse of a poet and publisher: she co-curates Ink Press Productions; is the author of three chapbooks: I WANT YOUR TAN (Ink Press 2015), Grind My Bones Into Glitter, Then Swim Through The Shimmer (NAP 2014), and Sorry I Wrote So Many Sad Poems Today (Ink Press 2013); and was a 2016 Baker Artist Award finalist. TO TRACY LIKE / TO LIKE / LIKE, her first single-poem chapbook, is set to be published in the March-April corridor. Stanford Cheung is an exceptional poet and pianist from Toronto. His poetry has appeared in Nomadic Press, Ricepaper Magazine, and X-Peri. He is the author of three chapbooks: Comfort of Malice (Inspiritus, 2018), Kite Extension (Words(on)Pages, 2017), and Any Seam or Needlework (The Operating System, 2016). Structures from the Still, his first full-length collection, will be published in the late-August corridor. Be sure to check out the SPOTLIGHT page for more details as the launch dates get closer. welp, it's official: come morning, i am off to AWP. i still can't believe that i have the opportunity to sell my wares this early in the life of my press. Thank you again (and again and again), Dayana, for throwing me some space. Speaking of, In Place of This is now OFFICIALLY AVAILABLE FOR PREORDER!!! Head over to the akinoga press catalogue page to grab yourself a(n eventual) copy (on the square market page, don't click the shipping option; that's just for mobile purchases). OR, WHY NOT STOP BY BOOTH 739 AT AWP AND PLACE A PREORDER IN PERSON MAYBE? Can they print books, or what? Seriously, they are THE BEST. If you ever need something printed super well and super quickly, these guys are the people to talk to. They will have my business until whatever looming apocalyptic event happens first. hello, friends! i apologize that it's been a bit since i posted any updates. to make up for it, have two AMAZING PIECES OF NEWS! AMAZING PIECE OF NEWS NUMBER 1 — AKINOGA PRESS WILL BE SELLING BOOKS AT AWP2017!!!!!!!!!! i know! i'm as shocked as you probably are! this is an unbelievable opportunity and i am so deeply grateful to Dayana Stetco it's kind of ridiculous. I had Dayana for a few wonderful classes in undergrad (i passed out in one of them; ask me about it when you see me at AWP) and she was gracious enough to offer me space on her exhibitor's table to sell my wares. AMAZING PIECE OF NEWS NUMBER 2 — AKINOGA PRESS WILL BE PUBLISHING IN PLACE OF THIS IN PROBABLY LESS THAN A MONTH! i am so excited for y'all to read this book. i love it. i love everything about it, and hopefully you will, too. if you JUST CAN'T WAIT, i can help in two ways. there will be a pre-order signup/email sheet at the table, so please, COME ON BY AND PRE-ORDER ONE OF THESE BOOKS! firstly, i have the location! akinoga press, along with Mason Jar Press, will be at booth P 09 on Light St (between the Visitor's Center and the Science Center). PLAN YOUR ROUTES ACCORDINGLY! secondly, i am thrilled to announce that akinoga press will be publishing its FIRST-EVER ANTHOLOGY!!! head over the the on the other hand page for all the deets. submissions open THIS FRIDAY!!! i went into the shop today and threw these guys together. i am extremely excited to announce that akinoga press will be selling its wears at this year's Baltimore Book Festival. i will be sharing a table with the rad peeps of Mason Jar Press, so please stop on by for raffles, author signings, impromptu readings, and just a generally good time. we don't know the exact location of the table yet, but as soon as we do, i will post a map so y'all can find us with ease!